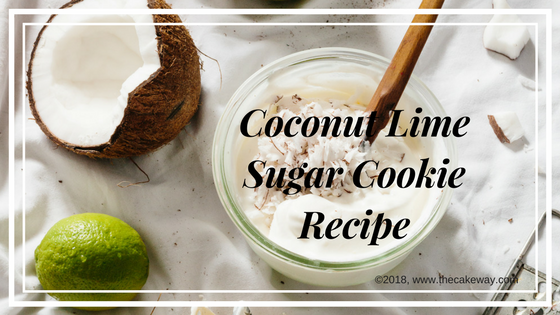 This Coconut Lime Sugar Cookie is perfect for St. Patricks Day! When I think of Coconut Lime, I think of a margarita. 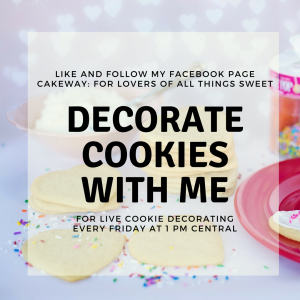 Of course, these cookies don’t have alcohol in them but they would be perfect for a cute addition to a green celebration. The dough could even be colored a subtle shade of green for an extra pop. 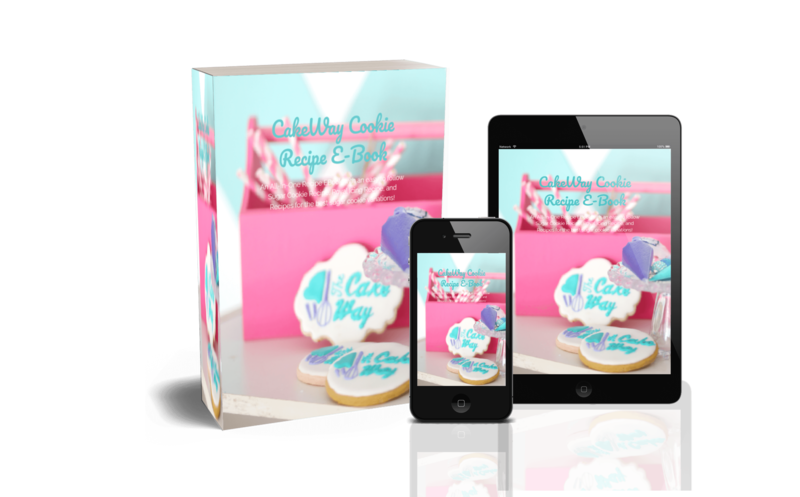 This recipe is the perfect no chill no spread sugar cookie recipe, that is bake ready right away, no freezer prep or moving back and forth from the refrigerator. This recipe will yield about 48 regular sized cookies. I don’t recommend halving the recipe. The dough will last in the refrigerator for about a week or in the freezer for about 3 months. If frozen, let it thaw overnight in the refrigerator or if it’s in the frig, leave it at room temperature for a few hours then bake. Let butter sit on the counter until it is just soft enough to leave an indent with your finger. Cream butter and sugar in the mixer until the butter-sugar mixture turns white (about 10 minutes). Add egg, flavorings, lime zest, and salt in a separate bowl and pour into the mixer one egg at a time until well incorporated. Stir in the flour one cup at a time. I like to add 3 cups of flour into the mixer and hand knead the other 3 1/2 cups on the counter. Add the food coloring while the mixture is still in the mixer. To do this, I rub a generous amount of shortening onto my clean countertop and pour the remaining 3 1/2 cups of flour making a hole in the middle. In the middle of the flour ring, I place my dough from the mixer and incorporate the remaining flour. Once all of the flour is incorporated, I separate the dough into two loaves and usually, bake one loaf and leave the rest to bake later. One loaf will yield about two dozen regular sized cookies. If you are not using the dough right away, wrap in saran wrap, label, and place in the refrigerator until ready to bake. Can be left in the refrigerator for 1 week or in the freezer for 3 months. 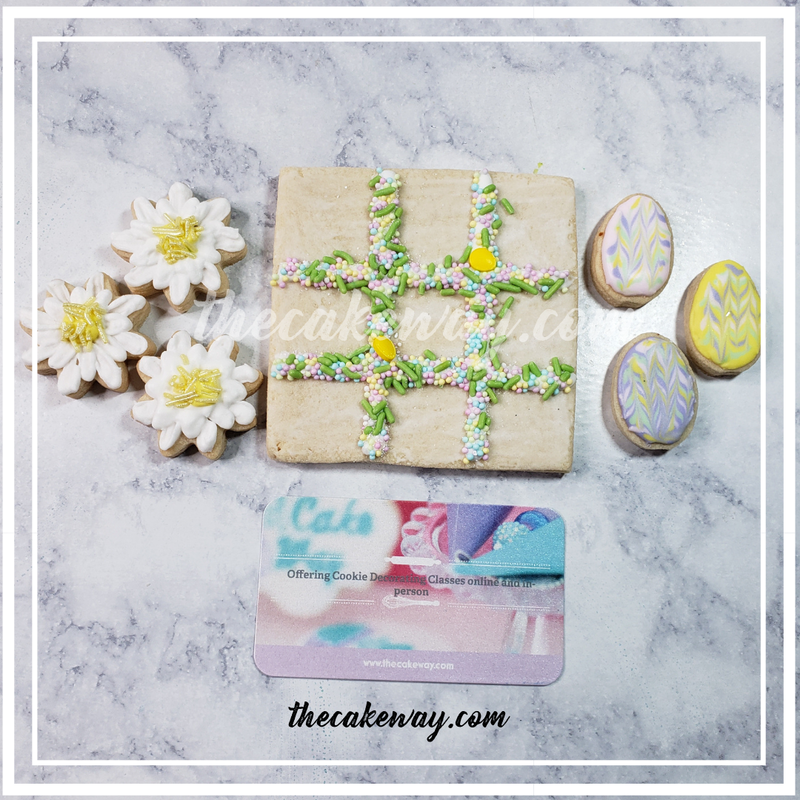 The Cake Way is a participant in an affiliate advertising program designed to provide a means for sites to earn advertising fees by advertising and linking to products. 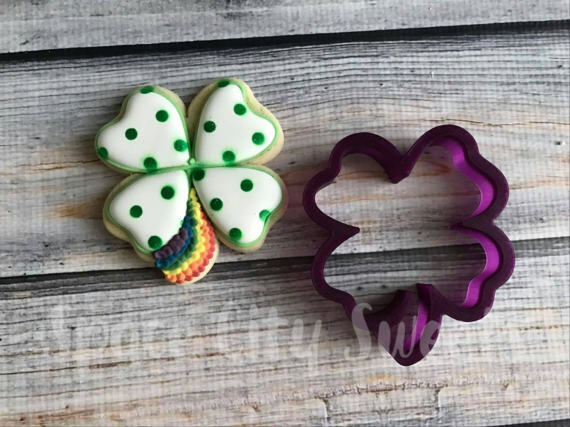 Since this project is in line with St. Patricks Day, some cute cookie cutters would be a great addition. This set is from Bobbi’s Cookie Cutters. She has some great quality cutters. Click on the link to check out her site. A cookie project would not be complete without a Stencil Genie. This is a stencil genie and cookie scraper set combined. 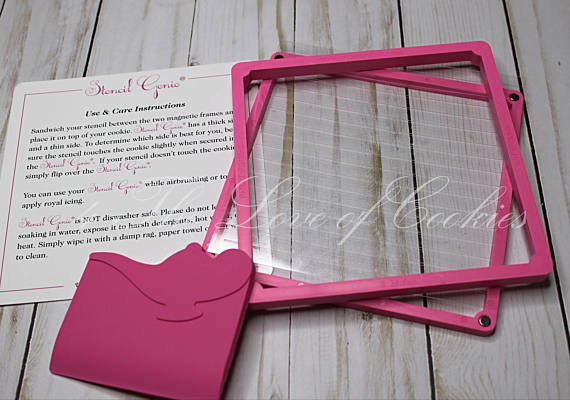 This set makes it super easy to hold the stencil in place while you airbrush or scrape royal icing over the top of the stencil. Click the image below to be directed to the site. 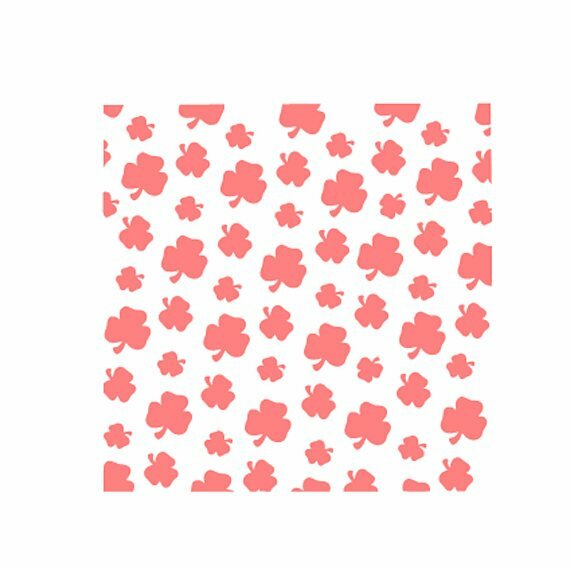 These cute stencils would be great for a St. Patrick’s day themed cookie set. 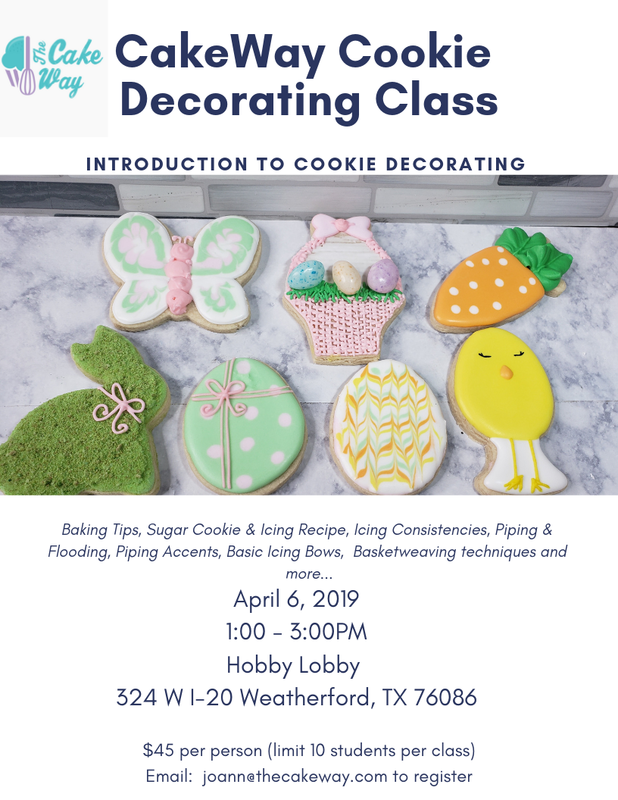 The shamrock pattern can be airbrushed or scraped on using a thick royal icing. Click the image below to be directed to the site.